Video Shown Cat Use Toilet to Take a Poo - How She Toilet-Trained Her Cat ? 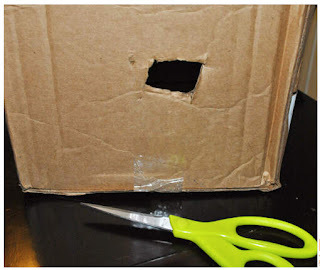 So, are you tormented by picking the poo of your kitten ? 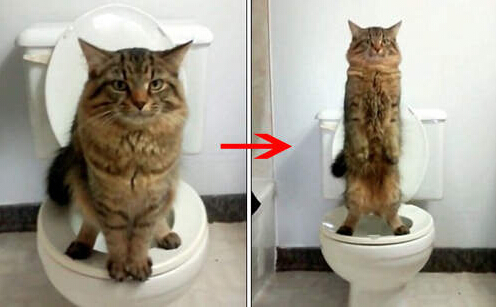 Have you even image one day,your cat was filmed sitting on a toilet and relieving himself like a human ? Like the feline named Mr Jinx from the Meet The Parents films, this family pet has been trained by his owners to use the loo instead of the garden.The video shows the cat squatting on the seat and holding his weight with his paws. 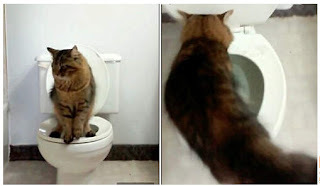 His owner, who lives in Toronto, Canada, can be heard giggling at her pet before walking over to flush the chain - a skill the feline has yet to learn it seems. 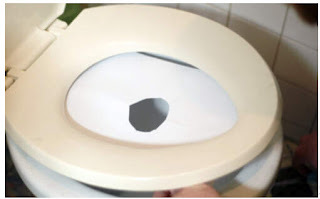 The owner of the poo cat said: 'If you're wondering how to train your kitten to do this, just place a laminated sheet (cardboard) under the seat, with some flushable litter. 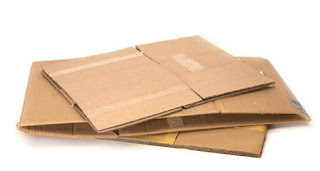 First of all , you need some cardboard like the image above. 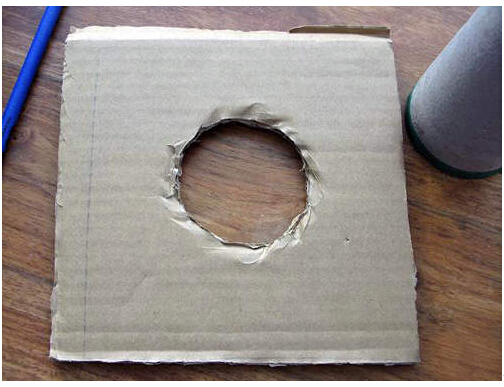 Make a hole in the middle of the card, at first, small hole will be fine. 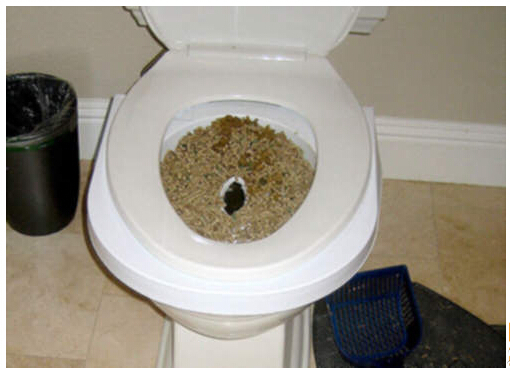 Plus,Plz placing cat litter inside the bowl until the feline became accustomed to using the toilet.He then removed the litter once the cat had got used to it - very similar to the technique used to train this feline. Step 3: Make it bigger every week. Eventually they get used to using the bowl. She added that while she trained the cat to use the toilet, she didn't expect him to use it with such success. However, she did not specify how long the training process took and whether there were, perhaps inevitably, many accidents.